Should the Grove Plaza be sold someday? And if so, should the money be used for a ballpark? The Boise City Council ultimately decided not to change its stance on the acceptance of the conveyance of the Grove Plaza in Boise – but it came after some back and forth in front of a crowd at Tuesday’s meeting. 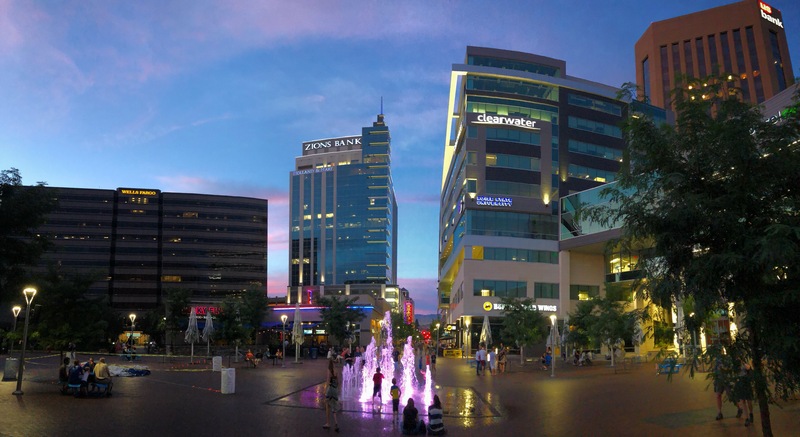 As reported by the Boise Guardian and elaborated on by Idaho Press, the City of Boise earlier accepted the Grove Plaza now that the Capital City Development Corporation’s central district is sunsetting. But that acceptance included a restriction that would mean that if the city ever sold the public plaza, the money would have to go to a sports facility in a CCDC district. The plaza could only be sold to a public entity. Councilors Lauren McLean and Elaine Clegg said they were not aware of the restriction, and wanted to bring it back for reconsideration. “I want to make sure that there are more opportunities for uses of funds if indeed we were to sell this in the future,” McLean said. Clegg wanted to amend the language to add parks, public squares, gathering areas and the like. Initially, they had the votes, with fellow councilor TJ Thompson joining them and defeating Scot Ludwig and Holli Woodings. Ludwig and Woodings’ husband Ryan serve on the CCDC board. Councilor Lisa Sánchez was absent from the meeting. The mayor sat quietly, looking at his computer screen during the discussion and vote. He has been a proponent of the ballpark. But after the vote, as Clegg was proposing amended language, Thompson changed his mind after hearing Woodings claim that the restriction in the conveyance could be changed by the city council in the future – with agreement from CCDC. Thompson originally voted to accept the Grove, then changed his mind – then changed his mind back. As Thompson explained he was considering changing his vote, the mayor’s demeanor changed significantly, brining out a smile and joking about giving the parliamentary procedure rulebook known as Robert’s Rules of Order a workout. Officials with the Greater Boise Auditorium District, which has maintained the plaza for 30 years and have convention center facilities on both sides say they aren’t involved in any possible future sale. They say they have not been contacted by either the city or CCDC. That district has significant cashflow from its collection of room tax, and the Guardian speculated it could be a target for a sale. An official with CCDC says the idea to place the sports park restriction came up in a meeting between city officials and the urban renewal agency, but did not respond to a question as to who amend pitched the idea. The CCDC board is appointed by Bieter, and he himself sits on the panel.